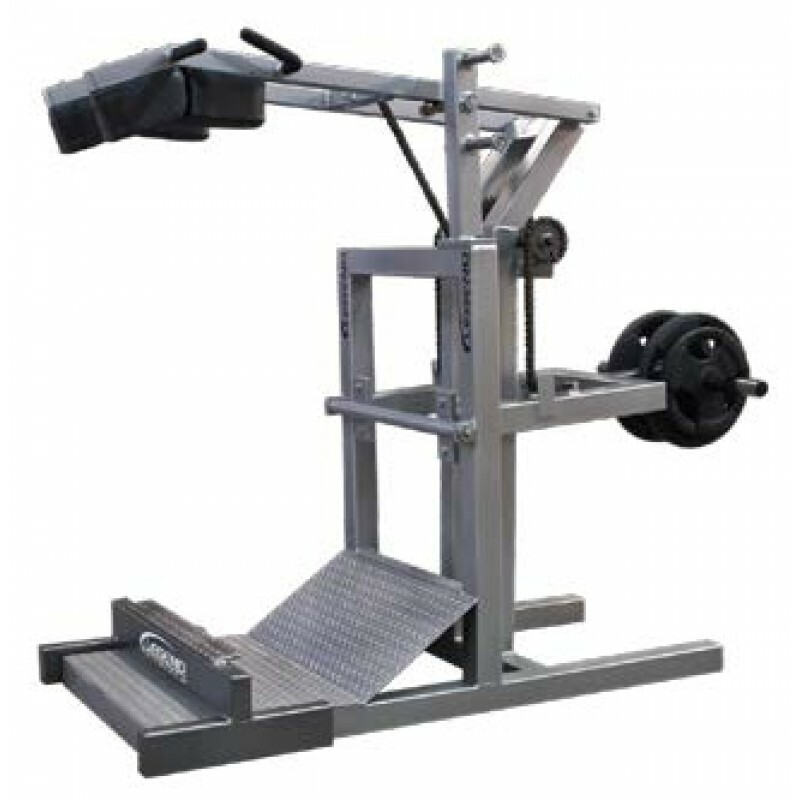 The 3129 Legend Squat Machine with Calf Blaster is more versatile than it might first appear. Take a stance on the horizontal or angled diamond plate foot platforms, then perform squats safely and securely. Reduce the weight and do leaps to build explosive power. Pull up a bench or box and do shoulder presses. Slide the Calf Blaster over the platform and tippy toe your way to stronger sprints. Recently revised with new horizontal weight pegs and new transverse handles mounted outside of the shoulder padding. Sliding, solid steel pegs allow for three different starting heights. Extreme heavy duty chain and cogs are pre-greased for smooth operation. Weights sold separately. Calf Blaster toe platform now supplied free of charge!